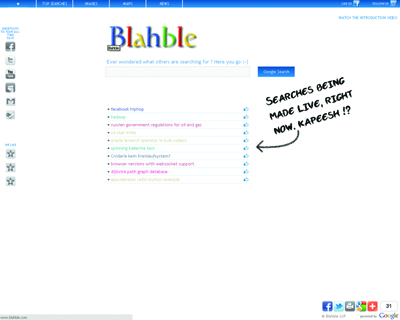 We’re a google clone that shows you what people are searching for ! Live and realtime. We also lets you text the people who keep making searches, all in real live time, unlike google trends which only shows you whats trending over a spread period. Consider it a google with a few added features.